Get your designer style mens shoes upgraded with serious style with Giovanni shoes. These Italian bracelet style loafers are made of nice calfskin leather and feature Italian style that is sure to please. 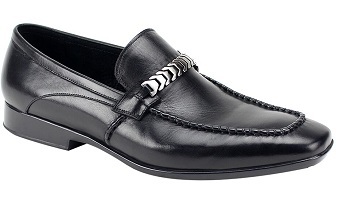 You can wear these fine dress shoes with designer jeans as well for a dressed down look. Medium width.